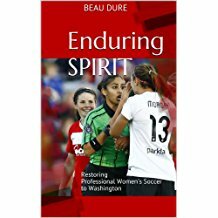 You’ve read about the pro/rel pros, the history of the U.S./Canada debate, and the major players in the U.S. (including U.S. Soccer). Now it’s time to read about why promotion/relegation can be a bad idea. Yes, promotion/relegation has pros and cons. That’s heresy in some quarters. But what doesn’t have pros and cons? The U.S. sports system has pros and cons. Capitalism has pros and cons. Representative democracy has pros and cons. Going outside has pros and cons. We simply have to weigh them and decide what’s best. Pretending that pro/rel makes everything better is simply dishonest. 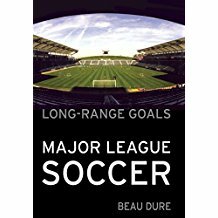 If you read all this and decide pro/rel is the best system in Europe (probable), the best system for U.S. amateur leagues (also probable), the best system for U.S. lower divisions (quite plausible) and the best system for the entire U.S. pyramid (more problematic, but not easily dismissed), that’s your prerogative. Con #1: Can’t count on division status when planning long-term investment. See Reading, which will expand … or not … well, maybe … if they can win their way into the Premier League. “But smaller clubs will invest in their academies to produce players to compete,” we hear. Wrong. And if you’ve read Raphael Honigstein’s Das Reboot: How German Soccer Reinvented Itself and Conquered the World, you know the federation had to force the 36 Bundesliga clubs (well, not all of them, but they felt compelled to impose the rule) to run academies. They weren’t all happy about it. Con #2: “Pure” pro/rel based on “sporting merit” usually takes a back seat to “other criteria,” anyway. England is the birthplace of soccer and the birthplace of pro/rel. So take a look at what they’re doing with their women’s leagues: Top tier will go pro-only, second tier for semipros. And that’s perfectly legal under FIFA Statutes, Article 9, which a lot of PRZ (Pro/Rel Zealots) incorrectly cite as proof that the U.S. system violates FIFA’s holy word. This isn’t something new. 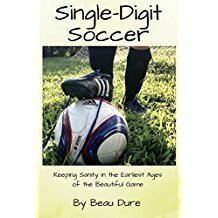 Consider how England did pro/rel between its amateur (“non-League”) and professional leagues for generations. The last-place team in the last League division stood for re-election against everyone who wanted in. Usually, that last-place team stayed in. Then there’s the Netherlands. If someone can explain the contortions they’ve gone through in the last few years to try to institute pro/rel between the amateurs and pros better than Wikipedia has, please tell me. And if you want to go back a ways, join Dan Loney for a deep dive into the erratic history of pro/rel in Brazil, which rather thoroughly refutes the Deloitte claim that no country with a “closed league” has won the World Cup. I’ll add one thing: Before you complain that Dan focused only on the state leagues, bear in mind that Brazil’s national league didn’t start until 1959. Con #3: People who have nothing to do with the soccer side of the business can lose their jobs. Farewell, Aston Villa employees. Goodbye, Newcastle backroom staff. Have fun collecting unemployment, locals who sell food, merchandise, tickets, etc. Sometimes it’s years of mismanagement than lead to relegation. Sometimes it’s a couple of injuries and one bad bounce. The flip side of that wonderful moment when the ball fell to the foot of Carlisle United goalkeeper Jimmy Glass is that Scarborough went out of the League, which in those days was a horrifying drop. “But that’s capitalism,” the PRZ have argued over the years. Sure. And it’s why capitalism is regulated and constantly reformed. Look, we all went through our libertarian phase in high school or college, but at some point, you have to grow up and realize we aren’t in ancient Rome giving thumbs-ups and thumbs-downs for our morbid entertainment. Screw pro/rel, I want real punishment. I think teams that finish in the bottom three must submit players and staff to Hunger Games. Con #4: Pressure creates ugly soccer. What do you think of when you think of do-or-die situations in knockout tournaments and relegation battles? Beautiful plays? Or “grit”? The latter. And yet the PRZ tell us over and over that the USA will suddenly learn how to play with skill and verve. Con #5: Clubs make “survival” their only goal. Con #6: Clubs in relegation danger have little incentive to give young players a chance. Again, the PRZ insist that pro/rel is the key factor in player development. But in which country are you more likely to see young players thrown into the fray and given a chance? England, where clubs live in constant fear of relegation? Or in the USA, where clubs near the bottom of the table can start building for next year? Con #1: Lawsuits, lawsuits, lawsuits! You think MLS owners who’ve made nine-figure investments (add up expansion fees for newer owners, capital calls for older owners, stadiums, academies, etc.) are going to go quietly if they’re told their investments are going to be at risk of being devalued? Con #2: The PRZ have poisoned the well. Take a look, if you happen to be unfamiliar with the last 15 years or so of public discourse on the topic. Con #3: The USA and Canada have unique challenges with soccer fans spread over a giant land mass. The USA was hostile to soccer for generations. Read … well, anything — David Wangerin’s books, Offside: Soccer and American Exceptionalism, Soccer Against the Enemy, etc. In some ways, it might be easier to build up pro leagues if we built them around pockets of soccer fans — Cascadia, California, the mid-Atlantic, etc. But then those leagues would struggle to get TV deals, and we’d leave nothing for fans in the rest of the country. If Kansas City can fill its stadium for MLS games, then Kansas City should have a danged team. Pro/rel would put us in danger of removing a major market from the top division — Chicago, Los Angeles, Portland, Washington, etc. That’s not the case in England, where it’s virtually impossible to be more than 150 miles from a Premier League club unless you’re in Cornwall or unless you’re at the very fringe of East Anglia during a down period for Norwich and Ipswich. So do the pros outweigh the cons? I’m on record as saying yes, with a whole lot of asterisks. I’m disappointed when MLS commissioner Don Garber — who is surely speaking for a strong majority of MLS owners — brushes it aside. But any good system is going to have to account for as many of these issues as possible. Figure out a way to mitigate the financial risks, not just for unsympathetic oligarchs (not all of whom are horrible people) but also for people who work in MLS club offices. Come up with a format that adds excitement without leaving us with a bunch of grim, grinding soccer games. Piece of cake, right? Especially when we’re having such rational discussions about it.